SAN DIEGO — Ten years ago, Elizabeth Kollasch knew her future husband would be the guy seated on an ice cooler on a sandbar of the Colorado River in Yuma, Ariz. 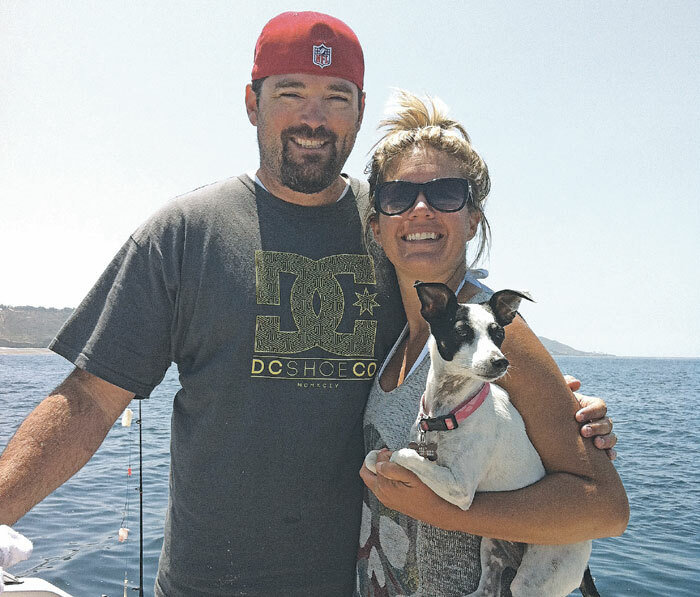 The Fourth of July weekend marked 10 years for the couple, whose ardor for boating not only helped their initial “meet cute,” but continues to be one of the many pastimes that they share. After hitting it off at the Hidden Shores Village RV Park in Yuma, Ariz., David and Elizabeth continued their relationship and got married on June 14, 2008. Elizabeth, a San Diego native familiar with the beauty of the bay; and David, a Northern Californian; choose to pay homage to boating and the water by holding the wedding ceremony at San Diego’s Marina Village and the reception at Hidden Shores in Yuma — taking them back to where they first met. The venues were perfect, since they both “love the ocean, water and boats,” she said. Fast-forward to 2013: It is no surprise that the couple has continued to spend their free time on the water, whether on rivers or on San Diego Bay. In search of an oceangoing boat, Elizabeth, an accountant, and David, a structural engineer, sought an ocean-ready vessel that could handle cruising to Catalina Island and provide sleeping accommodations for themselves and guests. They found that boat on Memorial Day weekend. The 24-foot Chaparral was exactly what they had in mind. And it didn’t take long to capture Elizabeth’s affection. “We love the location and think it’s a beautiful place,” she said. Tucked inside Quivira Basin at Mission Bay, the 634-slip marina is in close proximity to many marine services, while offering several on-site amenities. The marina made for a perfect background for wedding photos — something the Kollaschs took advantage of five years ago. They are excited to celebrate their fifth wedding anniversary on their boat in a marina that brings back such happy memories.